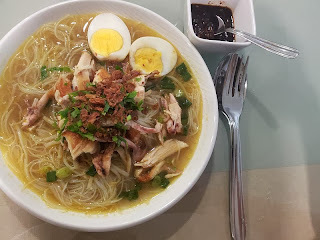 This has been one of my favourite Malay food as its light and comforting. 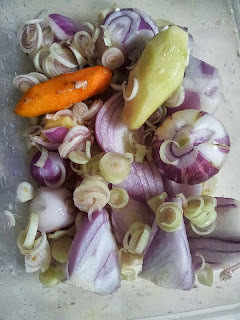 There's something about chicken soup that is so assuring.. 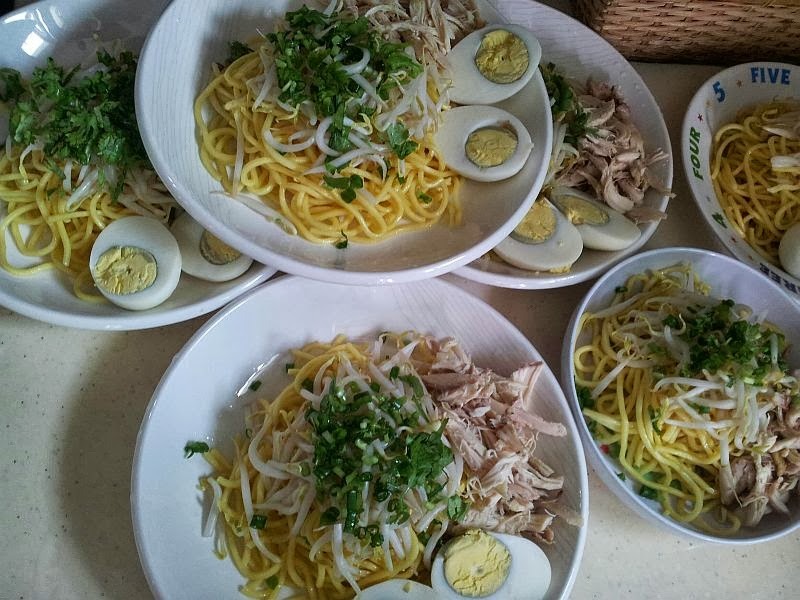 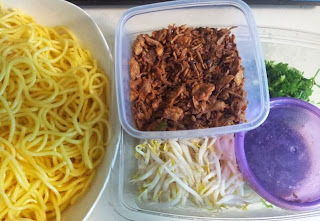 Anyway, my helper happens to make a wonderful bowl of mee soto which I would love to share this with you. 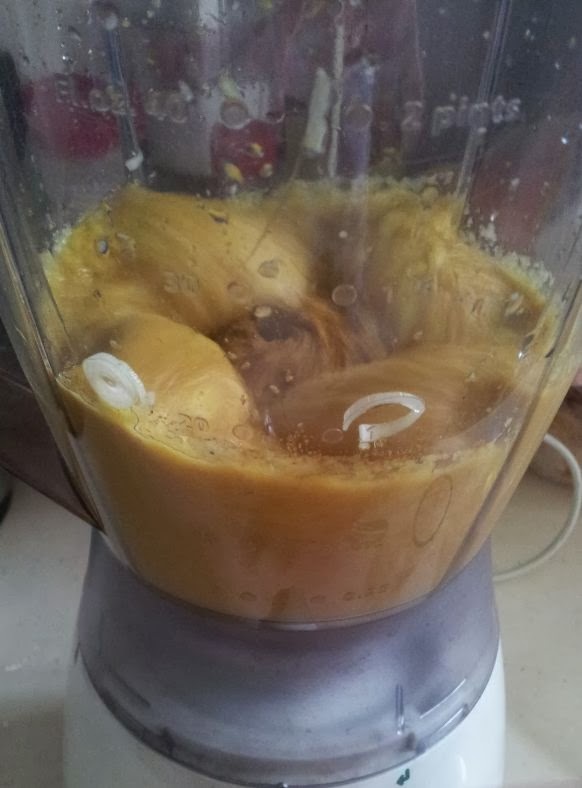 1) Blend the ingredients in Group A with a little water, except the powder. 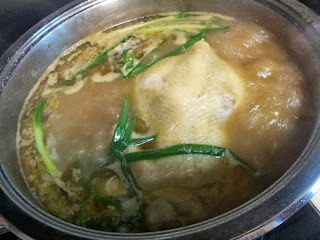 3) Then take the paste to fry it in a little oil in the frying pan over medium heat. 4) Then put the whole chicken, spring onions about 2 bunch, the top part of the lemon grass and the fried paste in a big pot of water to cook. 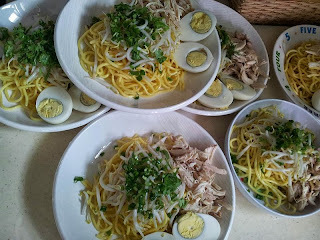 6) At the mean time, you can blanch your bean sprouts, cook your eggs (make it hard boiled) and noodles in boiling water. 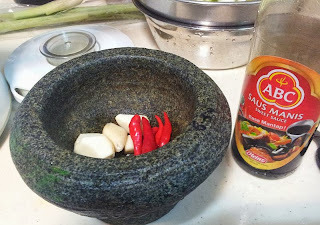 7) Then for the mee soto chilli, you use the Group B Ingredients and pound the chilli and garlic together first. 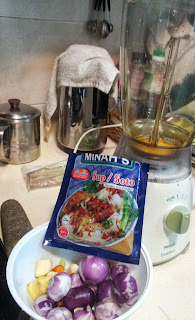 Then finally, you just add the kecap manis sauce (2-3 TB). 10) Finally, just add the soup to your noodles. 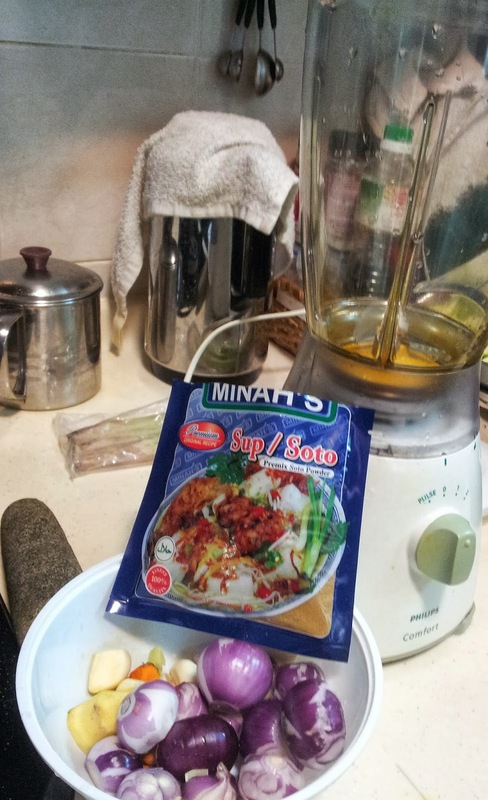 Taste the soup before serving. Season with salt if you like.